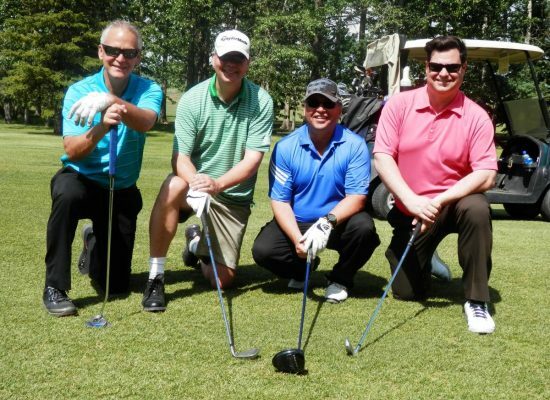 Celebrating 18 years of supporting the Sturgeon Community Hospital through golf. START PRACTICING YOUR SWING FOR THE 18TH ANNUAL HERITAGE GOLF CLASSIC. NOTE: This annual golf classic is part of a fundraising initiative to support two extremely important charities in our community - Sturgeon Community Hospital Foundation and the St.Albert Community Foundation.Together our foundations continually strive to enhance the lives of people in our community, and all proceeds from this event will go towards helping us reach those goals. The Sturgeon Community Hospital Foundation provides the opportunity for members of our community to contribute directly to the Sturgeon Community Hospital and see the tangible results and benefits of their gifts. We are proud to be able to directly impact and enhance healthcare for area residents and to support the broader initiatives of the Alberta Health Services region. The St. Albert Community Foundation is a proud member of Community Foundations of Canada – with over 150 Community Foundations across Canada and growing. The St. Albert Community Foundation provides an opportunity for citizens to contribute to and invest in the long-term fulfillment of community needs. Funds from the Community Foundation will be used to support worthwhile community projects organized by charitable organizations within the St. Albert area. Register for the Heritage Golf Classic Now!